We were tipped off this morning to a pleasant AsianWeek puff piece on Gordon Chong, who was former president of the American Institute of Architects and— with all the press attention lavished on Renzo Piano, you may not have known this— principal of Chong Partners Architecture, which was the local partner for the design of the new California Academy of Sciences. But there's some nice backstory brew to all this. According to our tipster: "There was a big brouhaha at Chong Partners a few years back. ... All four partners suddenly up and left at the same time. Chong Partners just became Chong. I felt bad for the guy." Those partners? Now the respective letters of WRNS Studios, a new firm that also happened to take a big project along with them: the Daniel Libeskind-designed Contemporary Jewish Museum. 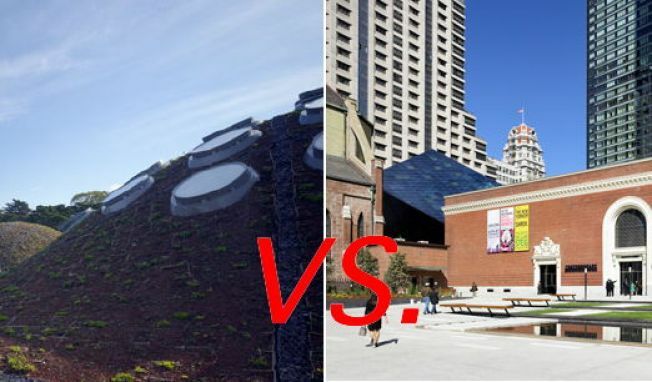 Chong vs. WRNS, Piano vs. Libeskind. In this local battle of global starchitects, we can only trust there's no bad blood or anything. It's all about the education, right?